Robert Ingersoll, "The Great Agnostic," colonel during the American Civil War, politician, attorney, and orator, poses for a picture with his granddaughter, Eva Ingersoll Wakefield. Their picture is set within a long poem titled, "LIFE." 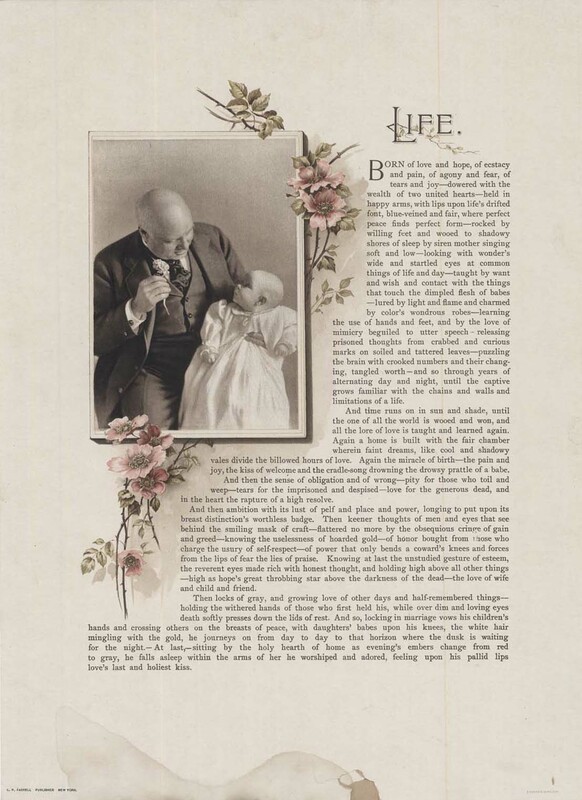 Farrell, C. P., “Robert Ingersoll, Life,” Chronicling Illinois, accessed April 25, 2019, http://chroniclingillinois.org/items/show/14925.